Are you running lean implementation in your department or throughout the company? Is your company thriving for continuous improvement? Then 5s is the most important tool to achieve your lean implementation goal. Lean implementation involves 5s audit on regular basis. Some companies do it week by week and others do it every month. 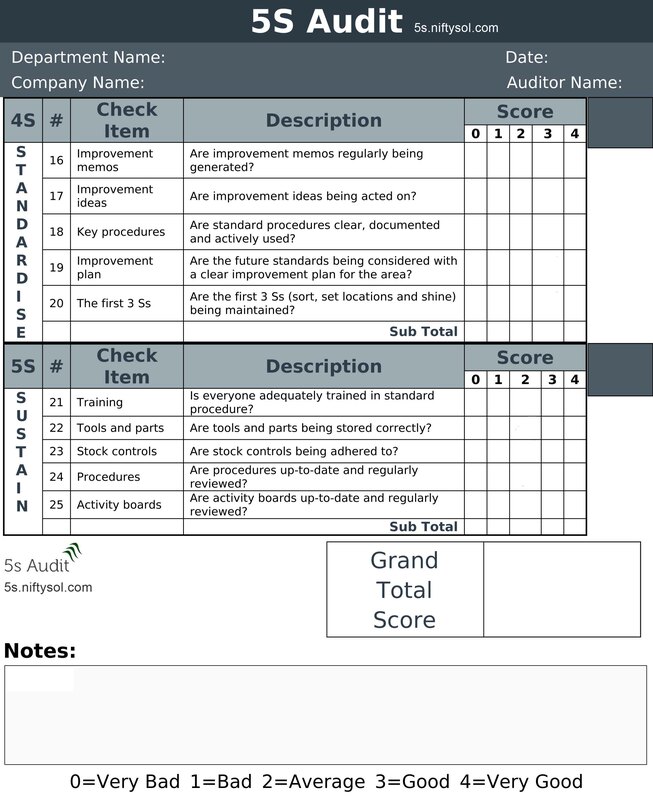 No matter what frequency of audit one adopts, the key is the 5s Audit checklist with relevant questions. 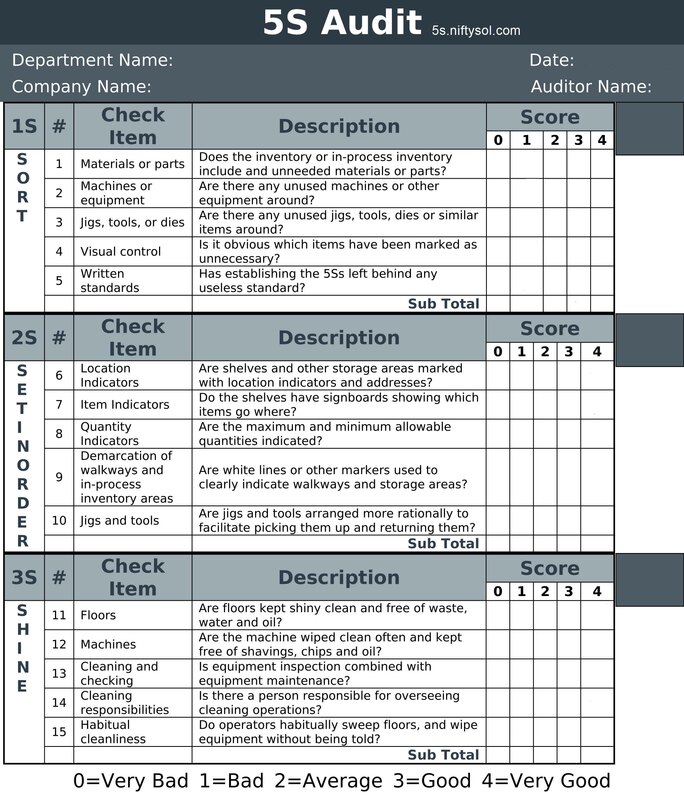 The checklist that is provided here for free is quite general and can be adopted in any environment like Engineering, Manufacturing, Healthcare, Operation or any industry that is undergoing lean implementation. Here is the link to download 5s checklist for free.